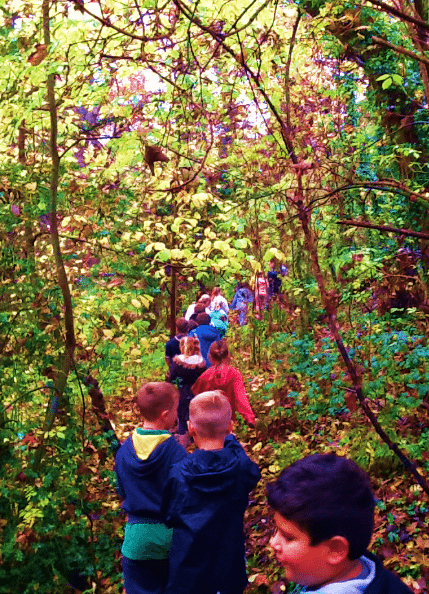 At Ysgol Acrefair we enjoy excellent Forest School provision which has been developed by our Higher Level Teaching Assistant Mrs Wooding. Mrs Wooding works collaboratively with the teaching staff to plan and deliver regular ‘Forest School’ sessions with children from Nursery right the way up to Year 6. 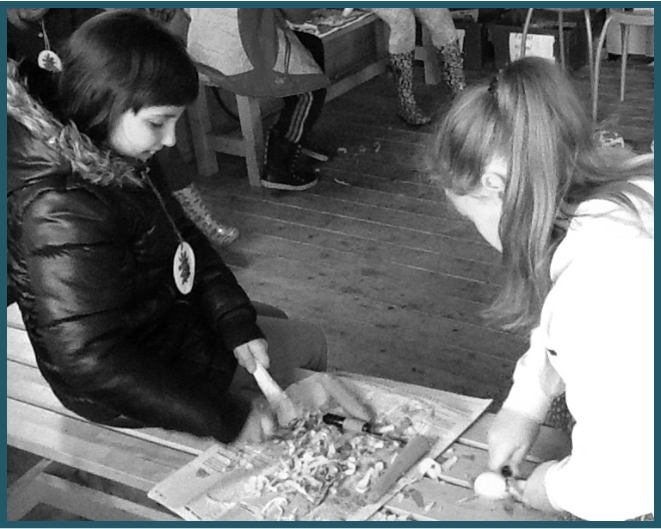 Forest School is an inspirational process, that offers ALL learners regular opportunities to achieve and develop confidence and self-esteem through hands-on learning experiences in a woodland or natural environment. 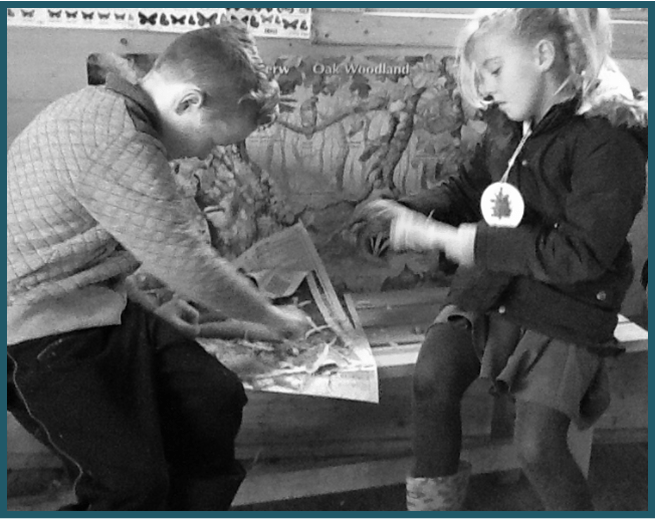 What do we do in our Forest School sessions? 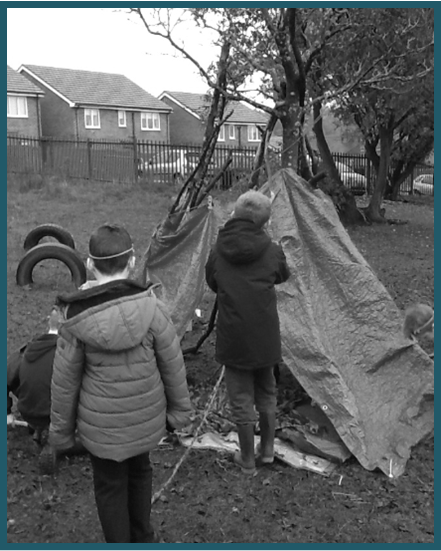 The activities that each class do during their Forest School sessions vary but our Year 4 class were keen to share their project from the Autumn term, during which there were some very strange happenings in our class…. 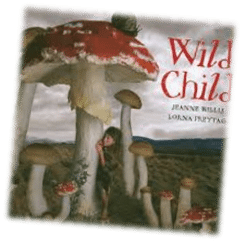 In the Autumn term we read the story ‘The Wild Child’ by Jeanne Willis. The Wild Child is very special. She’s spirited and curious. She’s fearless and free. She lives alone in a mystical, prehistoric world – the last child in a dramatic landscape, where anything could happen. During her day she explores her world from the foot of the mountain to the heart of the wood; while she runs with the rabbits and swims with the fish – but she is very aware of avoiding the grown-ups and sensible shoes! We couldn’t believe it when she started leaving us messages in our classroom…. 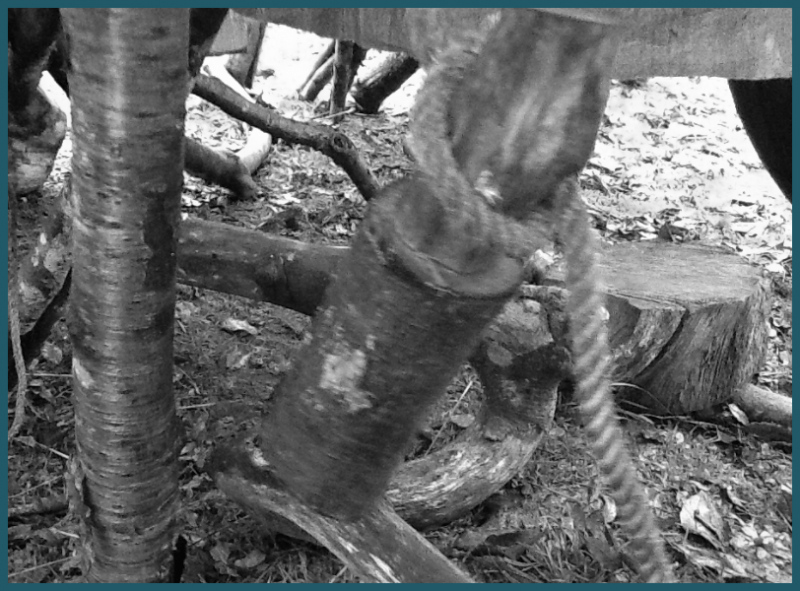 Throughout the Autumn term the Wild Child left us notes with jobs to do during our Forest School sessions. 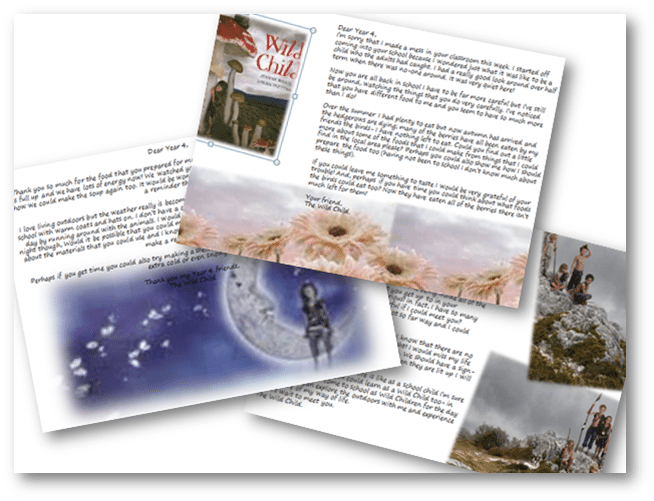 She needed our help with lots of different things…. We built her a shelter to sleep in at night so that she was warm as the autumn turned to winter and the nights got colder. We had to work carefully together to make sure that the shelter was fit for purpose. Whilst we were making the shelter we learned about tying different types of knots so that it was safe and secure for our Wild Child to sleep in. We prepared soup using seasonal vegetables that would be available from our local area and were ready for harvest. We had to use the tools to peel the vegetables very carefully and responsibly. We also weaved blankets for the Wild Child to use at night time to keep warm. After we received the letters from the Wild Child we made sure that we wrote back to her to tell her all about life at Ysgol Acrefair. The Wild Child thought that life as a regular child didn’t sound like fun so we told her about all of the things that we enjoy about life at school and all about our hobbies too. I wonder whether she would like to come to our school? Or perhaps we should become Wild Children too? !